NB An updated version of this page can now be found on Tenant-Law here. If you are a tenant and have a housing related problem – this post has over 15 helpful services and websites. Some of the places have professionals who can give face to face advice. Some are organisations where you can seek justice. Others are websites, either sites where you can get some advice on your problem or sites where you can do research. Whatever your problem, you should find some help here. If there are any you think I have left out, please list them in the comments section so we can have a really good comprehensive list here. Shelter are the top housing law charity in this country. They have a fabulous website which is divided into separate sides for England / Wales and Scotland. Shelter also offer a housing advice telephone helpline on 0808 800 4444 as well as face to face advice services – you can find out if there is one near you here. The CAB is the main legal charity in this country and you will generally find a CAB office in most cities, towns and large villages. However as they deal with many areas of consumer law, your local office may not have anyone particularly knowledgeable about housing law, which is a bit of a specialist subject. So if you are making an appointment to see someone, make sure you let them know that your problem is housing related, so they can find an advisor for you who has some experience in this area. Generally CAB staff are particularly good with debt advice and help on benefit issues. Local Authorities have a statutory duty to advise tenants, on homelessness and the prevention of homelessness under s179 of the Housing Act 1986. Some confine their advice just to homelessness problems, but others provide advice on other tenant related issues too. Many of the larger authorities will have professionally staffed advice centres and dedicated TROs (tenancy relations officers). Conversely, some authorities (for example the rural authorities) who don’t have much rented property in their area, will have limited staff tasked with this work. However, as it is a statutory duty they should have someone you can speak to – at least if you are threatened with homelessness. These are all free services so are worth checking out if you are experiencing problems with your landlord – plus if they find your landlord has been acting against the law, as enforcers, the Local Authorities will have the clout to do something about it. Whether they actually do, say, bring a prosecution though, will often depend on the LA resources and staffing levels. If you are lucky enough to have a law centre near you, then this is an excellent place to go for free advice and legal help. They are often staffed with experienced housing solicitors. Even the unqualified staff will normally have received proper training and be supervised by people who really know their subject. Unlike many other advice organisations, the Law Centres will be able to act for you in legal proceedings at no charge. However with the continual reduction in legal aid, Law Centres are finding it increasingly difficult to survive. You will find a list of them all here. Although solicitors are businesses and need to charge for their services in order to survive, they do offer some free services. For example many firms will offer an initial free or fixed fee interview. Obviously these are designed to encourage to you use their paid services. However they can be useful if you just want someone to give some quick advice, or perhaps take a look at some paperwork for you. Don’t forget also that many services can be funded by no win no fee agreements – particularly personal injury claims. So if you or your family are suffering illnesses caused by the poor condition of your rented home – you should be able to find someone to act with no up front payment from you. Assuming your landlord is likely to be able to pay up . 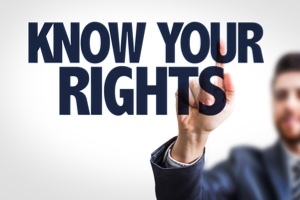 However be warned – many firms do not have staff who understand landlord & tenant law. As I say above, this is a specialist area of law and not something your average family or personal injury lawyer will have much experience in. Even if your claim IS a personal injury claim, if it is housing related, you will be better off with a solicitor from a firm with a good housing law department. If you are on a low income, note also that you can still sometimes get legal aid for housing related issues. You can search for a legal aid solicitor (or legal advisor) here. Insurance policies often come with free legal help as part of the package. So it might be worth digging out your household and other insurance paperwork and see what is included. Although strictly speaking it is not ‘free’ as you have paid for the policy, you should not have to pay any more for for the advice service – so why not use it? Union members have access to all sorts of free or budget priced services. Generally the legal advice is angled towards employment issues, but there is no harm in seeing if there is access to legal advice for housing problems. Law works is a legal ‘pro bono’ (posh word for free) organisation which co-ordinates the provision of free legal work by lawyers for suitable cases. The website is also a good way to find out about other local legal advice services which are not law centres. For example in Norwich where I live there is a legal charity (the Norfolk Community Law Service & Legal Advice Clinics) which I see is listed on this page. All in all, the website is a very good place to go if you have a legal issue and need professional help. This is not strictly speaking somewhere you can go to for advice – but it may be somewhere you can get help. Or to use the proper term – redress. If you have a complaint about your letting agent or property manager, from October 2014 (or possibly April 2015) you will be able to bring a complaint to one of the three government authorised Property Redress Services. All letting agents and property managers will be required to belong to one of these by law – although no doubt like the tenancy deposit regime, it will take a while for this to actually happen. Many letting agents are already a member of one of these so its worth checking out. Note also that if your landlord or agent is a member of a professional organisation such as ARLA, RICS or one of the landlord associations, you may be able to bring a complaint to them. This is the blog you are reading now! Landlord Law Blog has been going since 2006 and now has a huge bank of tips, articles and the ‘blog clinic’ posts. These last are all real life problems that have been sent to me by readers. There are so many questions submitted to the free clinic that I cannot possibly answer them all and as they are answered in order of receipt, this will be several weeks months after the question has been sent (although fast track questions will normally be answered within 48 hours) . However take a look at past posts – at the time of writing there are 363 of them (and more are answered every week) so someone else has probably asked about a problem similar to yours at some time. At the time of writing there are a total of 1,880 Landlord Law Blog posts online and 6,346 comments (many of which are as good if not better than the original post). So there is a lot here. Nearly Legal was started by Giles Peaker in 2006 (not long after I started Landlord Law Blog) when he was looking for a training contract (hence ‘nearly’ legal). Since then he has qualified and is now a partner at Anthony Gold. The blog is currently written by a team of solicitors and barristers and is very well respected. Most of the posts are written probably more with a professional audience in mind, and they can be a bit technical, but the site is a wonderful online resource. Particularly if you want to know something about a recent housing law case. Pain Smith Landlord & Tenant Law Blog is the blog of specialist landlord & tenant law firm Pain Smith. It is written more for an audience of landlords and letting agents (and describes itself as a ‘practitioners’ blog) but it is also a very useful source of information for tenants. Anthony Gold do quite a lot of landlord & tenant litigation (frequently representing the tenants) so are often able to write from the point of view of the solicitor in the case – which is always worth reading. Property 118 is neither a lawyer’s website nor strictly speaking a tenants site. It was set up by property investor and landlord Mark Alexander a few years ago as a site for private landlords. However it is a good place to post your question and get answers from readers – many of whom understand this area of law pretty well. A few housing lawyers also comment there from time to time, including me. Quite a few tenants have posted questions there and got some very good advice. There are lots of property forums around, ranging from landlord forums such as Property Tribes (where occasionally tenants venture in) to Martin Lewis’s Money Saving Expert which has a big section on rented property. Another forum I should mention is the LandlordZONE forum, and I know there are several others which I am not familiar with. Maybe share your favourite forum for tenant advice in the comments section? Many people, with some justification it must be said, are scared of the courts. Others may even think they are part of the problem. However the courts are basically there to help you. The vast majority of Judges, whether they sit in the County or higher courts, or one of the many tribunals, are passionate about Justice and seeing justice done for all – regardless of status, class or wealth. People sometimes think that Judges will automatically favour those in power rather than the underdog, and sometimes it does seem that way. However Judges are constrained by the legal system they work in, and sometimes are not able to find for the party with whom they may actually have the most sympathy. However don’t think that just because you are an ‘ordinary person’ faced with the establishment, the Judges will be prejudiced against you. They won’t. Bringing any court or tribunal claim is always a bit of an undertaking and not something to be done lightly. But if you are in the right and, crucially, are able to prove it, you should not have anything to fear. Most times. Advice4Renters – low cost and legal aid advice for tenants. Used to be called the Brent Private Tenants Rights Group. Tenant Compensation offers a no win no fee service for tenants wanting to claim against landlords for failing to protect their deposit. Tenants – note that I also have various free and paid for resources available on my Tenant Law website. Including my free 12 part e course and my Advice Guides. « Our HMO landlord is threatening to withhold our deposit and evict us – what can we do? This is a wonderful list, thankyou. What a fantastic article, many thanks. The tenants' section has links to posts which are written especially for tenants. Tenants should also look at the Blog Clinic posts as many of these are looking at problems experienced by tenants. Tenant law is a website where I have a free 12 part E Course for Tenants. There is also a paid telephone advice service. You will find it >> here. Detailed email guides on specific problem areas, emailed to you upon payment of a modest fee. >> Click here to find out more.